I’ve been working with a little boy on “long” vowel spellings – the “a…e” in “make”, “save” and “face”, the “ai” in “rain”, “sail” and “chain” and the “ay” in “day”, “say” and “way”, using my movable alphabet, Workbook 4 and a…e Race game, but as he’s a little pre-geek who keeps wanting to use my iPad, I’ve been trying to find ways to incorporate it into our sessions. A lot of apps for the iPad say they teach spelling, but to date I haven’t been able to find a really good one that takes a synthetic phonics approach. Most seem to contain lists a bit like typical school spelling lists, with words related by meaning but not spelling e.g. all the colour words together, even though “red” is easy to spell while “orange” and “purple” are a lot harder. However, I’m happy to say that I have been able to find two nice spelling apps that allow you to put in your own spelling lists with recorded voice, including an example sentence so there is no confusion about homophones like made/maid and sale/sail, and which don’t contain extraneous “when two vowels go walking” sort of rules or explanations, annoying feedback or other stuff that detracts from the usefulness and enjoyment of the activity. 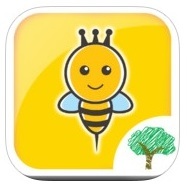 This free app is from the NSW Department of Education and Communities, and includes seven sections in its main menu, one of which is “Spelling Bee”. Unfortunately the lists that are already in the Spelling Bee are a mixture of easy and hard words without much coherence from a spelling pattern point of view. For example, the “easy” level includes the little, one-letter-equals-one-sound words “up”, “him”, “hat”, “mop”, “but”, “had” and “sad”, but mixes them up with words containing consonant digraphs like “she”, “moth”, “fish”, “neck” and “off”, consonant blends like “old”, “and” and “fox”, “y” as a vowel in “fly” and “my”, and a mixture of vowel digraphs in words like “car”, “boy”, “foil”, “blur”, “good” and “moo”. No single spelling pattern is represented long enough for learners to really get a handle on it. In the “easy” level there are also tricky spellings like the “o…e” in “love”, the “ey” in “they”, the “ear” in “wear” and the “ere” in both “were” and “here”. So it looks like they have just stuck in a mixture of common short words, without much regard for their level of spelling complexity. I recommend you ignore their lists, and make your own that actually teach useful points about spelling. If you don’t have your own graded spelling lists, use the ones here. Making your own Spelling Bee activity in School A to Z is pretty straightforward, though a little time-consuming. First go into Spelling Bee and select “Make your own list”. Touch the plus sign at top right and put in the name of your list. I suggest you put the spelling the list is targeting, and then an example word or two, for example my first list is called “ai as in wait”. Record a sentence with the word in it, to illustrate its meaning. This means you’re not stuck with the words in the dictionary, you can add words and sentences that are meaningful to your learner, like people they know, or place, shop or brand names. For example if you’re working on “ai” words, and they have an aunt called Gail, you can include her name, and record a sentence like “Auntie Gail is coming over for tea”. This can be deleted or changed for the next learner. The feedback in this app is very nice, with spoken feedback and points added for correct words and deducted for errors, and a big hooray at the end. This app is pretty similar to the previous one, except the words in the example test are an even weirder mixture – team, drama, dignify, guitar, kitchen, palace, chef, listener, mascot, carton. Not even related by meaning, let alone spelling. So if that’s how they organise their downloadable spelling lists (which I currently can’t work out how to download), it’s probably not worth doing it. However, it’s pretty straightforward to add your own wordlists, and thankfully it’s only a two-step process – type the word and then record it, with or without an example sentence (I suggest with). When a learner is using this app, the feedback for a correct answer is a tick and a nice chime sound, and the feedback for incorrect answers is a red cross and a kind of dinging sound, followed by the correct spelling appearing briefly on the screen, but no opportunity to correct errors. At the end of each test you get a letter grade (A+ if you get them all right, C for 6 out of 10 and so on), and a list of both correct and incorrect words, with corrections. If you’re really keen, you can look up previous results and see pie charts. So I guess for variety you might like to get both these apps, but if you’re only getting one, perhaps just start with the free one. Do you know of any other good spelling apps for tablet computers? This entry was posted in reviews, sound-letter links, spellings on September 30, 2013 by alison. 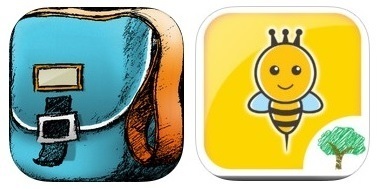 Could you suggest a good app for our Prep son who is struggling with phonics? Sounds like he may be one of your pupils/clients next term so looking forward to finding out how I can aid you work in a home stting. Have you seen the Sounds-Write app for beginning readers? 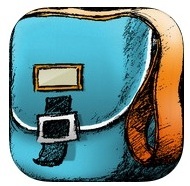 You can find it in the App store under education and it's called Sounds-Write Initial Code app. It's available for i-Pad only (because there's writing involved) and the first three units are free. I hope you like it and look forward to seeing you in April in Perth.